As a primer for the album due next year, the band have also posted a fantastic concert film entitled Live From The Woods. Speaking of it, Lars from the band said, "There are a lot of bands out there that sound decent on record but not even half as good when brought into a live setting. MOLLY, even though we are just a duo, was never meant to be that band. We’ve been playing around with the idea of getting someone to film a gig of ours, for the sheer purpose of putting it up on the internet and show exactly that to fans out there who haven’t had the opportunity to see us yet. We found this place to film it in that seemed just right; in a little Austrian town amid the Alps, they’ve got this huge complex, a hall where people practice archery, with hundreds of fake plastic animals, trees and terrain. It had this weird and surreal atmosphere to it that helped us decide to get some friends over and help us shoot six songs in there." You can watch the film here and in the player below. 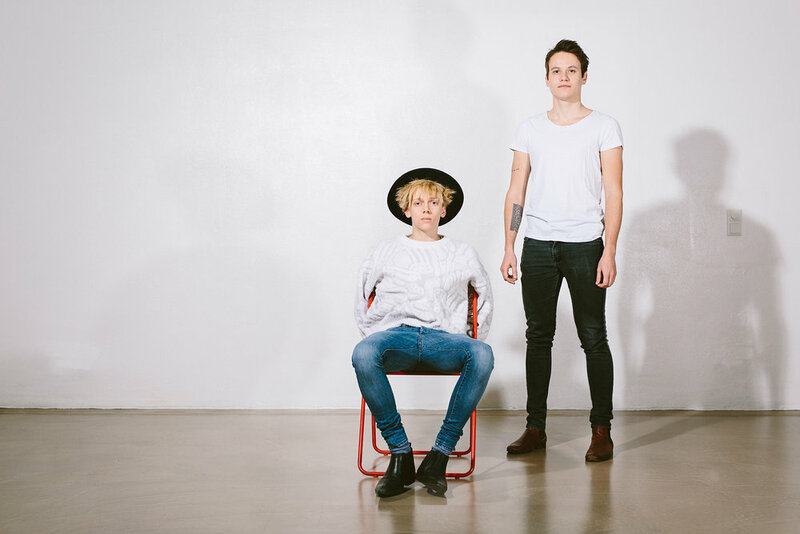 MOLLY, a duo from Innsbruck, Austria, sound like a band out of time - and ahead of it. 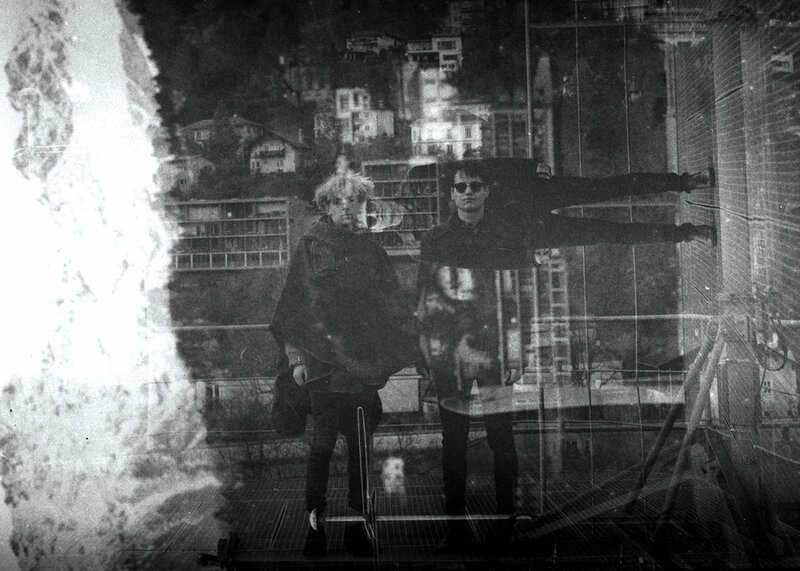 Their music dense, at times cinematic, the pair mine both the Thames Valley and post-rock scenes from the late-80s for inspiration, whilst also adding hints of the otherworldliness found in Scandinavian bands such as Dungen, Sigur Rós and The Radio Dept. Working towards their debut album next year, their new EP, Glimpse, is being released this winter. The first track to be aired is the EP's title track, which is The Line of Best Fit's Song of the Day today - "A march that begins with Stygian howls and ends with leviathan darkness, gradually morphing from experimental ambient into dreamy shoegaze into doom-laden post-rock. Unfettered by time limits, MOLLY gradually creep towards oblivion instead of hurtling towards it at a breakneck pace; they're all the better for it, taking you on an emotional journey instead of plonking you into dislocated devastation." Featuring three brand new tracks, the EP is being pressed as a deluxe, limited clear 12”. Pre-order here or direct from the band here. You can watch the accompanying video here or in the player below. Premiered today is Baio's remix of Wilsen's 'Told You', the closer from their debut album, I Go Missing In My Sleep. Chris Baio (Baio, Vampire Weekend) expertly makes things more upbeat whilst retaining the calmness of Tamsin’s vocals. "As fans, it was awesome to have Baio interpret 'Told You'. Loved hearing which parts of the arrangement he emphasized and expanded on with his stellar touch / tasteful approach," explains Tamsin, lead singer of Wilsen. You can listen to the remix here or in the player below.